$51.99 & FREE Shipping on orders over $59 $35. MoreHaze! 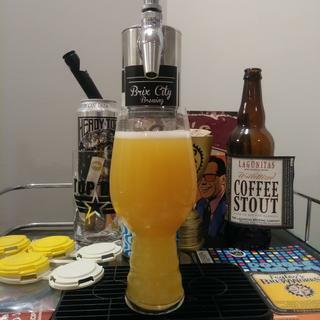 is a declicious, juicy, NE style double IPA. 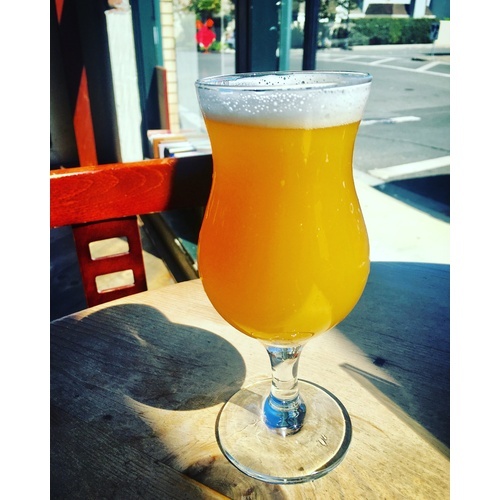 This beer was brewed as a collaboration between EJ Phair Brewing Co. and MoreBeer! We liked the beer so much that we wanted people to be able to brew it at home. The beer is very high in alcohol (9.5% ABV), low in bitterness, light in color and loaded with hops. 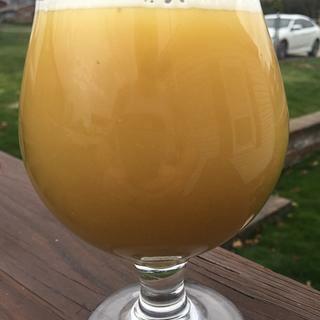 We dry hopped this beer in multiple stages, added lots of high protein grains and did not use any clarifying agents, which leads to a hazy beer loaded with flavor. Flavor and aroma is very citrusy (orange, tangerine, grapefruit) and mildly danky. The large addition of wheat and oats adds a soft, pillowy texture to the beer. The feed back was that this beer is delicious and dangerously easy to drink at such a high ABV. Great beer kit. 2nd time ordering. Second time ordering, turned out great the first time. Being painfully trendy, and a souring candidate. Interest in a new style on More Beer's site! First batch was insanely delicious! I bought the regular one. Double sounds good. the 1st time i brewed it i loved it. 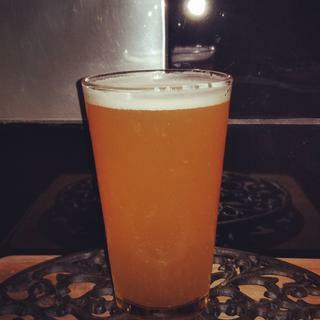 This is probably the best beer I have ever brewed! Love this kit!! Had it before itâ€™s ridiculously good! Wanted to give this a go. Third order. This is the best juicy kit I've found. Because I have already made it and it's awesome!!! What is the Grain Bill for this Recipe? BEST ANSWER: Thank you for your inquiry. If the ingredient sheet is not already provided in our document section, we are not able to publicize the recipe. We apologize for this inconvenience. what yeast are you recomending for haze craze? i ended up using Windsor dry yeast that I had on hand as a back up. The gigayeast pouch of Vermont I ordered was dead but luckily the Windsor fits the bill perfectly. Kept the beer juicy without drying it out and the low flocculation kept all that haze in suspension. 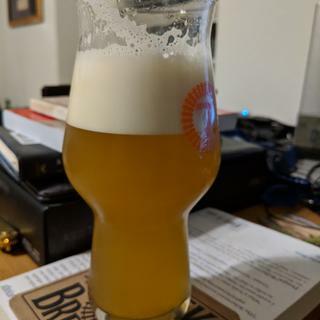 Hey Dave, I bought this from MoreBeer in December and used Burlington Ale yeast from White Labs based on what my Local Brew guy advised and it is the best NEIPA I’ve made yet. 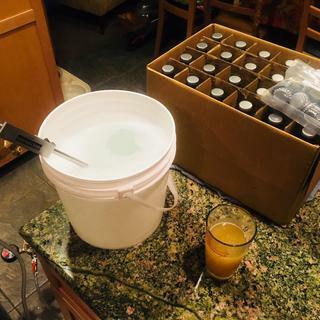 I’m racking another batch tomorrow!! Hope this helps. Oh forgot to mention , I used 1 1/2 packs of the Burlington Ale yeast from White Labs WLP095. I used the burton ale yeast came out really good. I used Imperial A38 and had great results! Imperial Juice for the All Grain version. Is it recommended to rack into a separate fermentor for secondary fermentation? 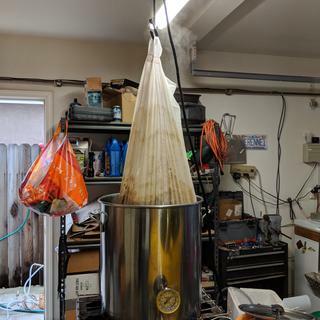 I have not done that for my other kits but am considering for this one with all of the dry hop additions. I'm also planning to cold crash after secondary, so the beer will be in the carboy a bit longer. BEST ANSWER: I have done this kit 4 times and don't rack to secondary. you don't want to cold crash as the haze will drop out and beer will clear up some. you want this one to be in a keg or bottles asap after primary and dry hopping is done. these beers get old really fast and if not drunk in one month usually starts to oxidize. best fresh! To answer your question directly, no it's not necessary to rack to a separate fermentor for secondary fermentation. I worry about off flavors when the yeast is removed in the secondary fermentor. 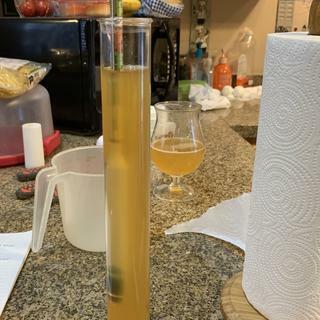 I contacted a Pro Brewer in San Francisco regarding this and his response was to add the hops in, with the yeast, and rouse, gently rock, the primary fermentor to get the yeast in suspension. He only rouses the fermentor one time. I tried it (2) different ways, rocking the primary fermentor several times during the dry hop period, 5-7 days, and not rocking the fermentor at all. It was interesting that the (2) different methods produced a different tasting beer. Rocking the primary fermentor increases the biotransformation, if done towards the end of fermentation. The yeast and hops "together" ferment some of the dextrins (usually non-fermentable) and will actually increase the ABV ~0-3 to 0.5%. Ultimately it depends what you think of the taste. The basic thing is have fun, experiment and tweak to your taste. It's a really good kit. I did not use a secondary. In my experience, even the slightest exposure to air after fermentation accelerates spoilage of these wonderful IPAs. I felt like I didn't want to risk having half of the batch get that oxidized flavor. Yes it is though i have yet to do the second dry hop additions. I have been skipping that step and saving the extra hops and it still is awesome. Yes. Highly recommended as there is a lot of hop sediment for a carboy primary ferment. Cold crash will help a lot as well. How many packs of yeast do I need, 1 or 2? I also have a 4 pack for fast pitch how many cans do I use? BEST ANSWER: I would use 2 pls because of the higher abv.. 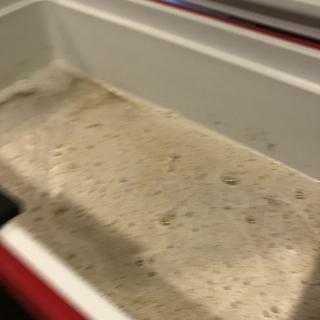 I used Imperial yeast...which are double the pitch. I did purchase 2 Yeast packs of the Imperial Juice. Do I need to fast pitch these! 1 pack of the lmperial Juice will be fine if it's still within expiration date. I like to build a starter for these big ipas. One can of fast pitch and one London ale 3 liquid yeast is what your looking for. I used one Omega yeast pack without starter and it came out fine. Is there a way to have this double milled or fine milled for a BIAB application? BEST ANSWER: Hi Joshua - Unfortunately we have no real way of double milling, as these kits come prepackaged with milled grain from our production department. They typically run a few hundred pounds at a time, on preset gap settings. It would be extremely difficult for the size of our company to double mill one beer kit. Apologies again, we hope you can find a friend with a mill locally. Here are 2 suggestions if you don't want to or can't afford to buy a grain mill. Look for a local homebrew shop and visit them to see if they would be willing to double mill your grain. If not or you feel awkward doing that, look for a homebrew club in your area. Contact the homebrew club and ask for a mentor in the area who might be willing to help you with these kinds of issues when they arise. 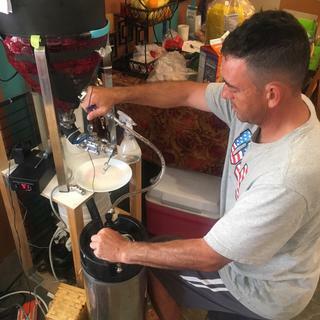 Most people in the homebrew community are involved in the hobby because they love homebrewing, the process, the people, the equipment. I've not found too many homebrewers or homebrew shop owners who wouldn't want to help a fellow brewer. I have a Barley Crusher, so I can set my milling at 0.30" for BIAB. The Crusher and a good Drill works great. Even if you plan on making Beer as a hobby, you want to take care of the Milling for optimum extraction, with circulation. Double Milling from More Beer may be possible, just call them up and ask. Worst case, you can go into your local More Beer and Double Mill yourself. Thank you everyone for your responses I decided it would just be the best to invest in a mill. I got the barley crusher so I can crush and grind as coarse or as fine as I could dream. MoreBeer needs to answer this about BIAB fine milling. I got mine milled, but I don’t believe they asked how I wanted it milled. I mash mine in a nylon mesh bag and it worked fine. How do you keg with all the hops in the fermenter? BEST ANSWER: Cold crash your fermenter for a couple of days very near freezing. This will let the hop material drop out of suspension. I additionally had to trim off 1/2 inch of my dip tube. After that no issues with clogging. The beer will still have a nice juicy haze for all to enjoy. Hope this helps. 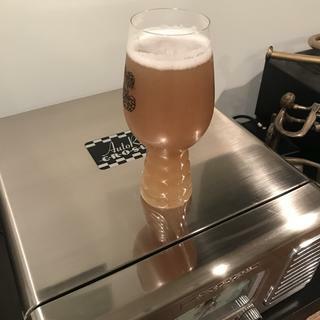 I like to cold crash the fermetor in my kegerator before siphoning off. All the hops fall to the bottom and you can keg nice clean beer. I filter the hops out with a mesh screen before I keg. The hop oils will still be in the beer. Did anyone brew this kit with a Brewer's Edge Mash & Boil? I'm getting mine next week and was wondering if I should do a reiterated mash since this kit comes with 16 lbs of grain and Mash & Boil max is 16 lbs. BEST ANSWER: I have the robo brew but from what I understand they are similar. 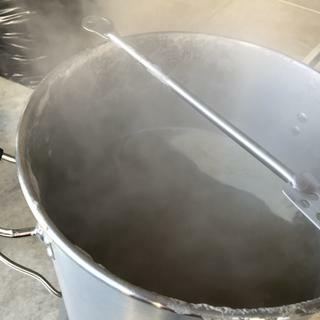 I brewed this kit and mashed it with only 5-6 gallons of water which was a bit thick and then when I lifted the grain bed to start draining the mash I added the remaining 3 gallons at the end while stirring. Turned out great got roughly 70% efficiently that way. I have brewed this twice in a RoboBrew. It's was tight but it worked out. 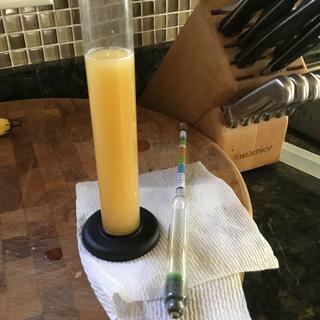 The second time brewed with less mash water and made up the volume with sparge water and I hit my OG with no problems. Hope this helps you. If I use ro water what salt additions should I use? 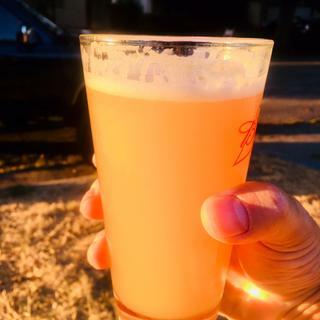 From my research, the recommended ion salts for the NEIPA was, 150ppm Cl and 100ppm SO4. For my 10 gallon batch, I used 12 grams CaCl,, 9 grams CaSO4 and 3 grams of MgSO4. The Sulfate to Chloride Ratio is ~0.7. I wouldn't use RO water. If I do not have good water or trust my water supply I would buy spring water from my local store. Thanks for the reply. Would u recommend adding salts to the spring water or just use it as it is? Sorry i'm new to brewing and the water chemistry is a little intimidating. I have a Brewie system and was interested in purchasing this recipe. The Brewie System will take a maximum Grain Bill of 17.5#. Can this recipe be brewed using the Brewie System? BEST ANSWER: Hi Eric - This kit has a grain bill of 13 lbs. BEST ANSWER: Hi Bryan - 4 yeasts are not required to brew this beer. It all depends on what you want your beer to taste like but we would recommend the Imperial Juice. And we send all of our yeasts (besides dry yeast) in ice packs to ensure yeast protection. Is there anything else I need to purchase beside the yeast to brew this beer? I am confused with the "Base Malts Only" statement while in checkout. BEST ANSWER: Hi Bryan - Yeast is the only thing you have to purchase to brew the MoreHaze!. Cheers! Where can I find the recommended brewing instructions for this kit? thanks! BEST ANSWER: Hi Gordon - Brewing instruction can be found in the "Document" section on the product page. Lots of additions during boil and dry hop, and I think the oats really soften the feel. This was exactly what I was looking for in a juicy IPA. There is an amazing amount of hops that come with this kit. Very well packaged and everything was fresh. Brewed it this weekend, can't wait for it to be ready. 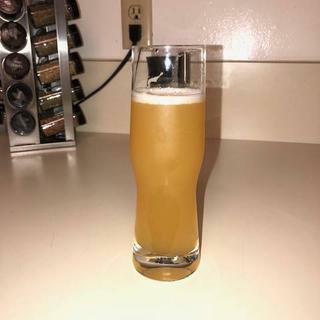 Great Beer came out better than expected. Aroma and flavor are intense. I used the giga vermont yeast which did the job well. Only downside is with all the hops the spigot on my fermenter was clogged so I had to syphon into the keg. 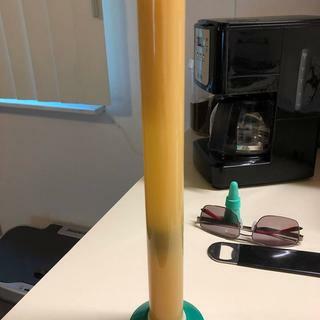 The pick up tube in my keg also clogged so I cut an inch off of it. This comes very close to Fieldwork or Moonraker quality. I will probably brew this again soon it is that good. Cheers! The extract version was my first beer ever brewed. This was my first all grain batch and it was excellent! Best kit I've ever brewed! 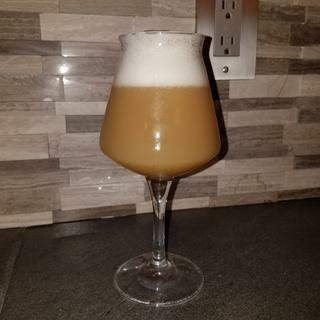 I've really enjoyed the NEIPA style and decided to brew this kit. It came out better than most commercial hazys I've tried! Already ordered another. My OG came in at only 1.076 not the listed 1.086 to 1.090 is why 4 star rating instead of 5. Used White labs Burlington Ale yeast with 2L starter, fermented down to 1.006. smells awesome going into keg, Alot of loss in fermenter due to huge dry hop additions so plan for that ,can't wait to try smells awesome going into keg, cheers! I live in New England and get to enjoy many great beers. I saw this kit and wanted to see how it compared. Hazy and good flavor. Would make this one again. Admittedly I am not an "in your face pine cone flavor" kind of IPA drinker but I developed a love of New England IPAs. 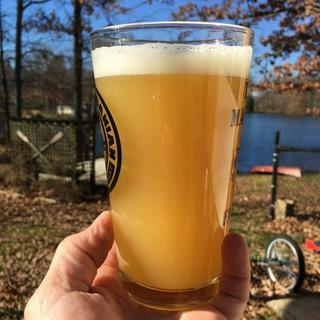 I brewed this one and it came out great. It was slightly darker than the picture here but that didn't bother me. Yes the alcohol is a bit high but I was ok with that as well. I just warned people who I gave it to. I have had great reviews even from non IPA drinkers. I will definitely be making this one again. One caveat is that you should use a hop basket and/or muslin bags for your hop additions. With so many hops added is really give you a huge trube. Very delicious NE style IPA. Mango and tangerine notes throughout. Came in at 8.9%, but not boozy. Really enjoyed brewing this with my buddy Bryan. We used all of his stainless gear. Color and haze turned out perfect. We stuck to recipe without changing anything. We were super careful not to allow any O2 to touch the beer. Didn't rush the carbonation either. We kegged it and let it sit for 5 days about 10 psi then bottled about two thirds of the keg to share with friends. Strong stuff for sure! Love this beer!! Very easy if you have the means to do a whirlpool hop addition after partial cooling to 160-170. Extremely juicy, but not harsh or grassy. Sweet finish. Quick turnaround! Beer definately tasted great, the only disappointing thing about the beer as others have mentioned is that it turned out to be more of a brownish color. Was hoping for the nice orange color as shown in the picture. Still a good beer! Turned out great. Perfect color. Kegged this batch. Very happy with kit. This beer is amazing, low bitterness, fruity and tropical. Everyone I have given a bottle too loves it and tells me to keep this in the rotation, which I will be! I wil say for those brewing it, becareful the 9%ish ABV does sneak up on you. Delicious! Add to cart now! 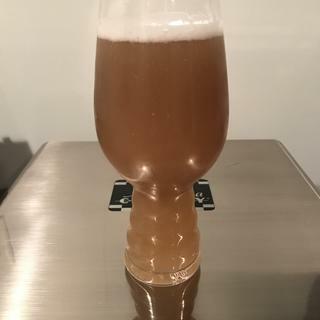 Enjoyed brewing this, second batch on Robobrew. Didn’t stray from recipe. Ended up with 6 gallons at 1.070 OG. Initially disappointed not hitting target OG, glad it came in lower though. Can’t stop drinking this juicy citrus celebration! Pitched a vial of White Labs Vermont. Incredible brew, I find myself comparing all other NE/Hazy IPAs to this. Not many compare. I will brew this again soon. Deliciousness! I have brewed this one 3 times and each time it is a hit at my house. Kegs last about a week and drains faster than any other brew I do. This is my third order of this kit and Ihighly recommend it. It does not disappoint. Very juicy with a great hop flavor. Bitterness is low and it really hits the nose. Everything a NEDIPA should be. I didn't alter the recipe at all. 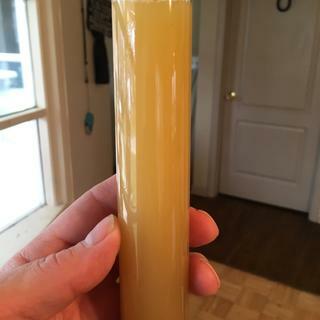 I did a 2 liter starter using the 1318 London ale yeast. I dry hopped 2 days after the first signs of fermentation and then again 6 days after fermentation had started. I had this beer in the keg on day 10 drinking it day 11. 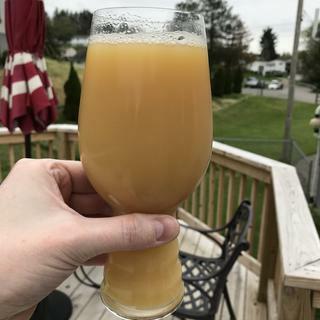 Very good representation of a New England IPA. If I brewed it again I would double the whirlpool hops and ad an ounce or two more to the dry hopping because it lacked a bit in the aroma department. The flavors were incredible. Everything I was looking for in a hazy ipa!!! Can’t wait to brew it again. This is a great beer to brew if you want a NEIPA. Very good beer. Even my wife loves it, and she is not a huge IPA fan. Mine didnt turn out as hazy as this pic, but overall, great. I will brew this one again. This was a fun kit to brew, with 10 oz of hops for dry hopping it makes for a challenge, even for my Depth Charge to handle. Best to put the first 4 oz of dry hops in, and remove on day 5, then add the additional 6 oz of dry hops. 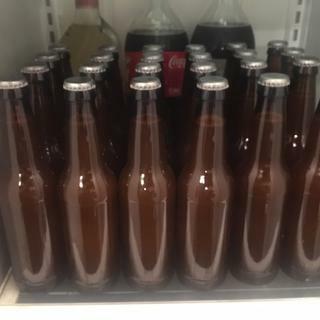 I used 1 x package Windsor, 1 x package S0-4 and fermentation was done in a quick 5 days or so. Buying ingredients for two more 5 gal batches of this juicy IIPA. Cheers! Nice recipe, will brew it again, named it Hazed & Confused, color is spot on, 9.25% ABV tastes good! This was my first all grain kit. Can’t wait to get this one I the keg as it smelled and tasted amazing even before I put it in fermenter. Came up short on my OG but not too worried. Directions could have been a little better as I do not remember any direction on how long to whirlpool the hops after flameout. Hops galore! Great recipe with an amazing taste. Lost a bit of beer in all the transfers due to all the dry hops, but thats to be expected. Wouldn't hurt to plan for more volume as mine finished at 10.4%. It doesn't drink like a high ABV beer, but it hits ya after a couple pints. Perfect hop flavor in my opinion. I really enjoyed brewing this kit. 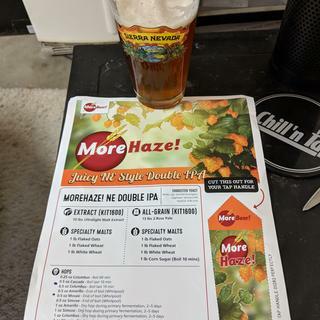 I normally put my own recipes together, but was intrigued with this kit from MoreBeer. Great instructions and very satisfying results. Great juicy citrus flavor from the hops and I had plenty of complements from our crowd at our quarterly Beer & Hymns we have at our church. Would buy this kit again! 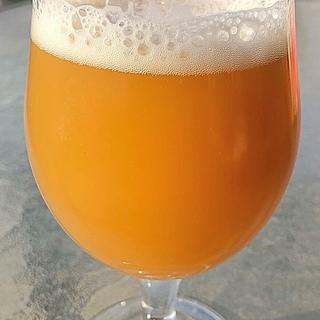 One of the best NEIPA recipes. FYI, it is STRONG but so good! !